We can link up with your vehicle’s computer to diagnose the issue and determine a solution. We can service any make or model. Using the best parts available we help reduce costly repairs down the road. 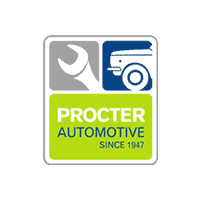 Procter Automotive has been a leading and trusted provider of auto repair in Abilene for nearly seventy years. We welcome new customers to Procter Automotive, the big country’s most trusted automotive repair shop since 1947! That is not a typo – we have nearly seven decades of experience. 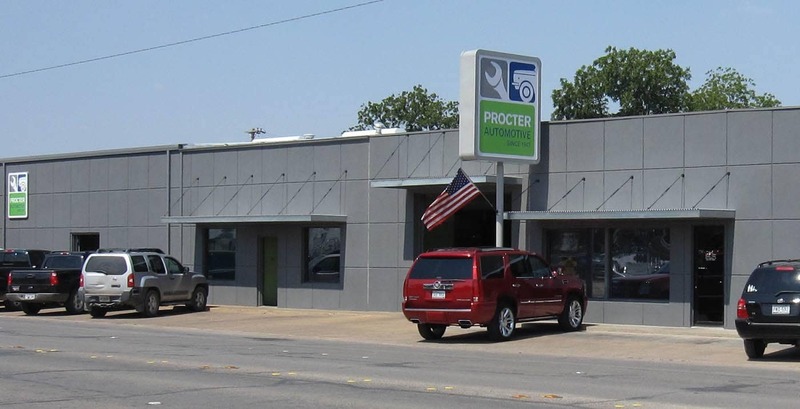 It has always been the mission of Procter Automotive to provide honest, reliable and effective auto repair service to the Abilene community, from brake repair, clutch replacement, check engine light to transmission repair. We want every one of our customers to drive away happy with our prices and service. Car maintenance is important, but it can be hard to find room for it in your schedule and budget. With our convenient online scheduling and fair pricing, we are here to help. Procter Automotive is proud to employ National Institute for Automotive Service Excellence (ASE) certified technicians. This certification is a stamp of approval for experienced and dedicated mechanics who are committed to continuing training. Whether your vehicle is a genuine classic or a cutting-edge hybrid, there is an auto repair technician in our Abilene shop who knows it inside and out. We are proud to offer quality, cutting edge, prompt, and reasonably priced car maintenance and auto repair services to our new and loyal customers. If there is anything we can do to serve your automotive repair needs better, please let us know! We welcome customer feedback. Operating with transparency and a people-first philosophy for 70 years has earned us the honor of being Abilene’s only approved AAA Auto Repair Shop. We were also proud to receive the 2011 Better Business Bureau Torch Award for having Outstanding Marketplace Ethics. While awards and certifications mean a lot to us, nothing means more to us than a satisfied customer! We will go above and beyond to make sure that your experience is as convenient as possible, and that you leave satisfied.